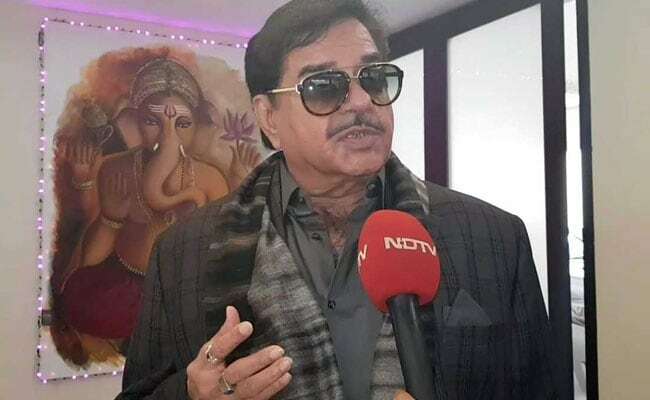 Shatrughan Sinha said, "He was a man of vision. Whether it was the nuclear explosions in Pokhran or the bus service from India to Lahore, Atalji was a visionary first and a politician later. I was in that historic first bus ride to Lahore sitting right behind him." "What can I say about Atalji that I havent said before? Atalji and Advaniji are my Gurus my mentors in politics. They are both father figures in my life. I was sent by them to be trained by Nanajee Deshamukh, then to Madan Lal Khurana and Kailashpati Mishra. All through my training initiation and acclimatisation into politics, Atalji encouraged and supported me. "He was a man of vision. Whether it was the nuclear explosions in Pokhran or the bus service from India to Lahore, Atalji was a visionary first and a politician later. I was in that historic first bus ride to Lahore sitting right behind him. "We both cracked jokes and kept the journey interesting. We could always trust Atalji to make the journey of life interesting. No matter how sticky the situation, he could lighten the atmosphere with poetry and humour. "During his Prime Ministership, everybody who worked with him was allowed to speak his or her mind freely. Today we function in an environment of unmitigated fear. No one is allowed to express himself. Atalji encouraged debate and dissent. This is what made him such a democrat. "Ataljee loved movies. He would sometimes address me as Kalicharan, the character I played in the movie of that name. I would tease him back saying he sounded like the villain Ajit from Kalicharan. Such was atmosphere of bantering and joking during Atalji''s days, now sadly gone from the Party. "His poems were sung by Lata Mangeshkar and Jagjit Singh and Jaya Prada did a dance ballet based on Atalji''s poetry. Not only Atalji, his daughter too is a movie buff. When Salman Khan got to know that Atalji's daughter was his fan, Salman went over to Atalji's residence to meet Atalji and his daughter. I think I learnt the gift of the gab from Atalji.